Colliers There are	18 products. The large Silver Pendant is Indian. 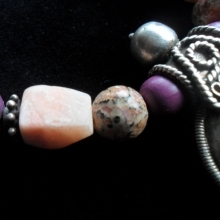 The beads are in resin, wood, white metal and semi-precious stone (smoked Quartz, Agate and Aventurine). 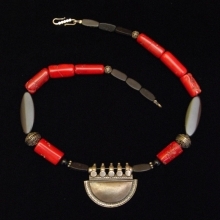 Red Coral, wood, resin and Silver. 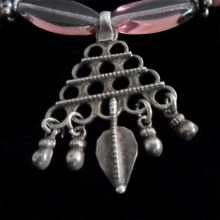 Indian Silver pendant. 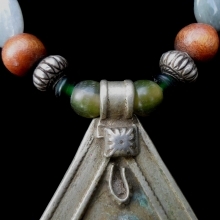 Necklace in green tones made of glass paste, wood, silver and semiprecious beads (Jade and green Agate). 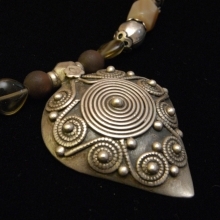 The Old Indian pendant is silver. Big pendant necklace. 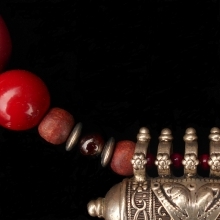 It is composed of wood, paste glass, ceramic and two semi-precious stones beads (red Jasper). 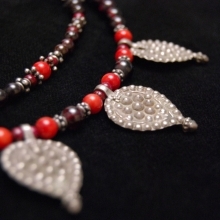 Metal beads are silver and the Indian pendant also. 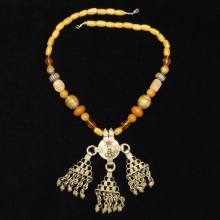 Indian necklace. Glass, resin, silvery metal and stones- Agathe and Calcite. 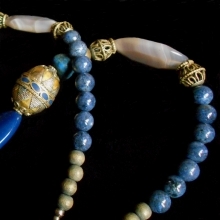 Nepalese resin pearls with silver. Beautiful necklace in blue tones. 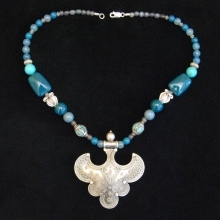 It is composed of beads in resin, ceramic, wood, silver and semi-precious stones (Turquoise, Quartz and Agate). The big beautiful Silver Pendant is native of India. Some silver beads are from North Thailand, others are from Tibet. Necklace made of amethyst and silver metal. There are also wooden beads and resin. 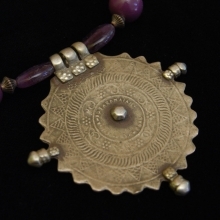 The pendant is an old Indian Medallion traditionally worked by hand. Wood, glass, resin, silver and silvery metal beads. 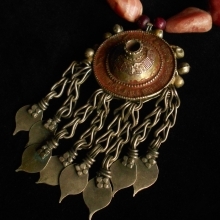 Old Silver pendant from Rajasthan (India). Silver and resin beads from Nepal. Necklace in green tones with antique pendant from Rajasthan (North India). 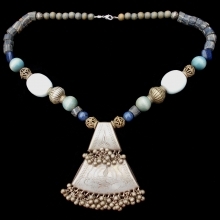 The beads are glass paste, wood, silver metal, resin and Agathe. 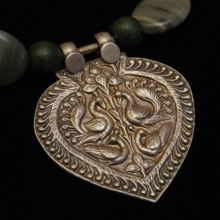 The pendant is made from melted coins currency, so it's a different metal alloys. 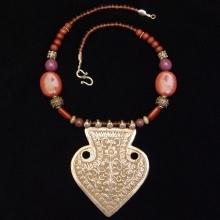 Thin necklace in shades of purple composed with silver pendant. 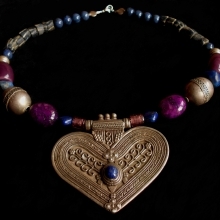 It is also made of wood, glass paste and semiprecious stones beads (Rhodonite). 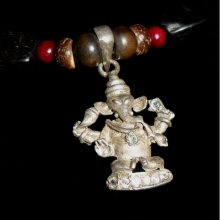 Necklace thin and light with the effigy of Ganesh, the god of luck in Hinduism. 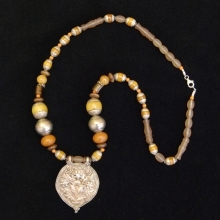 The beads are made of wood and silver. Ganesh Silver inlaid with eight rhinestones.